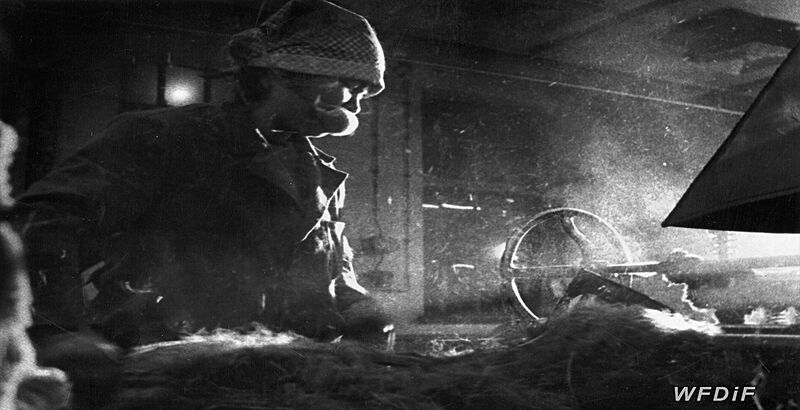 In what is now seen as Kamieńska’s seminal political film, she discloses the inhumane working conditions of female employees in a provincial textile factory in Krosno. The director’s strategy of pointing to social problems to encourage her audience’s reflection on indifference and the lack of compassion for the disadvantaged becomes the most conspicuous it has ever been. The film narrates the harsh reality of the working female through interviews with women in the factory’s changing rooms and through observational shots of them performing their jobs. There is no need for any voice-over; the women speak for themselves. They discuss their low wages, jobs that are physically straining, poor health and safety and, most of all, the lack of effective channels to submit feedback or complaints. 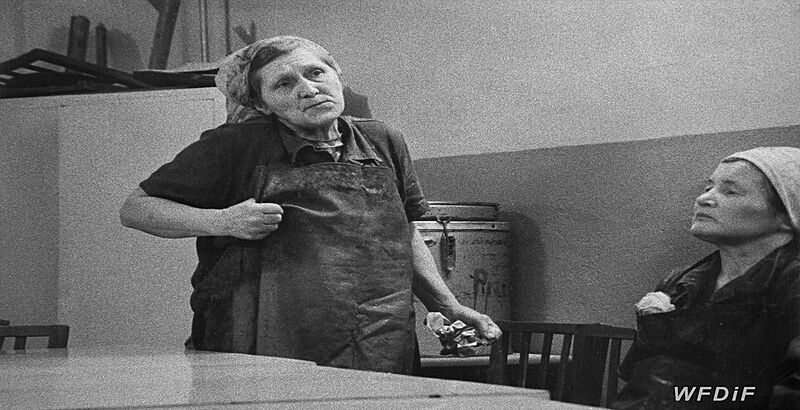 Kamieńska shows that concern for those who suffered was the driving force behind her film. Guided by empathy with the disenfranchised, her gaze provocatively exposes the brutal exploitation of the women. Changing their fate is out of their hands. As they reveal to the camera, their voices always fall on dead ears. With no possibility of finding any other employment in the area, they have to keep going no matter how grim their situation at work might be, or how disrespectful their male bosses are. They feel abandoned and exploited. ‘When I talked to those women I understood that I could not turn around and leave. In this monstrous situation, it could’ve been my first impulse. But I knew I didn’t have such a right. … It was the first half of 1980, and we took into account that this film might be shelved’. 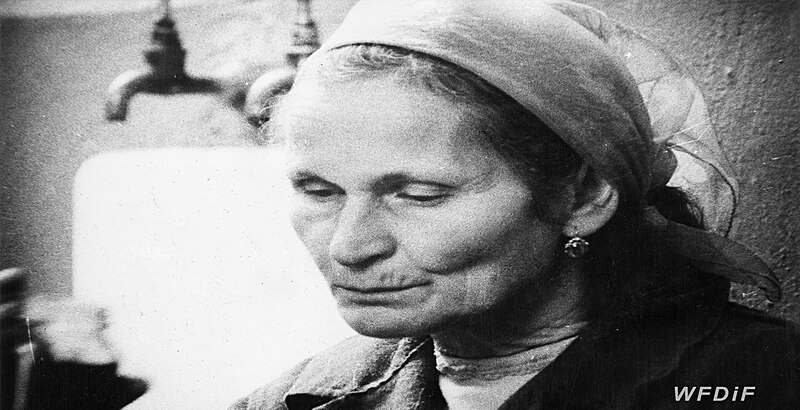 Nevertheless, the documentary won Kamieńska her third Grand Prix at Cracow, as well as an award from the Ministry of Culture. It was also successful in Oberhausen. Even though it seemed rather topical during the Solidarity era, the Party allowed its festival screenings because it didn’t contain any overt references to politics. Kamieńska’s focus on the local and personal experience of these women camouflaged the larger political context of their situation. Workwomen is available on DVD with English subtitles.